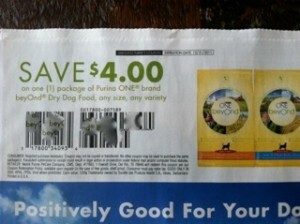 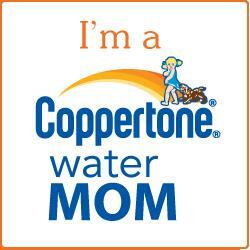 Use the $4/1 Purina One coupon (no size restrictions) to get Purina One Beyond Dog Food (1-lb.) 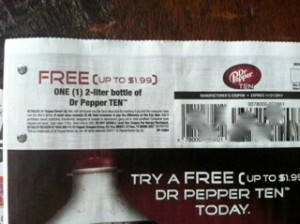 priced at $2.57 for free plus overage. 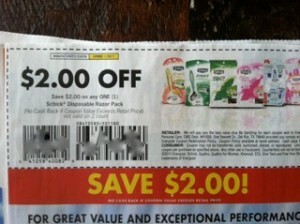 Use the $2/1 any Schick Disposable Razors coupon to get the 10+2 pack of Schick razors priced at $1.97 for free.